Customising is a little different from our bespoke designed product service. With customisation we take a standard off the shelf item and make it visually stand out as something that is yours. Many companies benefit from customised products and we can customise a large range of products to suit your needs. Our experience with the products and materials we handle on a daily basis means that we can usually offer a solution be it on the simplest of our sewn bag range to the most technical of hardware. 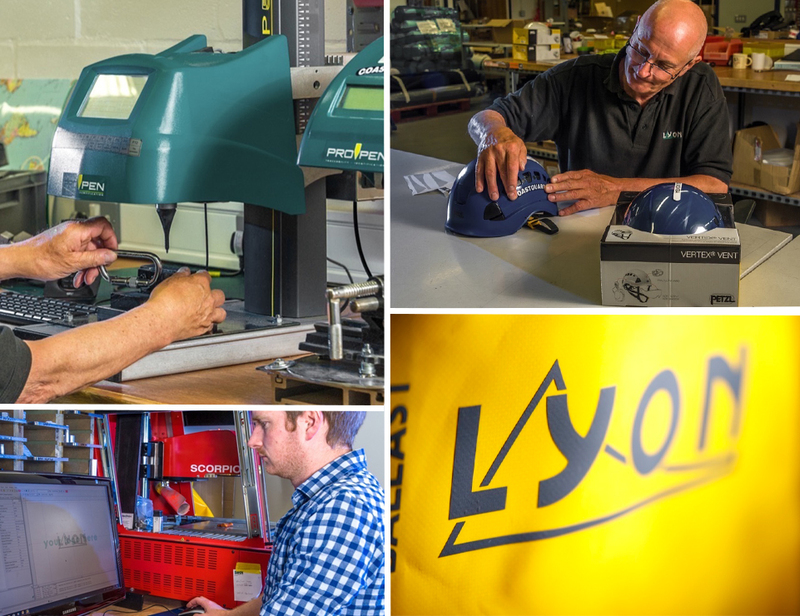 All customisation work is carried out at our manufacturing facility at Tebay to ensure a high quality result to our customers exact requirements. More information on our customisation services can be found below or by contacting us. There are no limits to our bespoke printing. We have the expertise and technology to find a solution for you. Commercial and/or compliance requirements necessitate information to be permanently attached to products. We can sew labels with your information into most products during the manufacturing process. If you wear many hats but only one helmet, this covers a Petzl helmet in whichever colour your on-site role dictates. We can also customise the covers to make them easily identifiable. This service is only available for new, unused and packaged Petzl helmets, delivered by you to us. Please note: Stickers are not sold separately and are not suitable for pre-2011 Petzl helmets. Please get in touch with our friendly sales team for more information. Again, all we need from you is an EPS or JPEG of a logo or image and we will do the rest. This service is available for new, unused Petzl, Foin, Maillon Rapide and Lyon metal items. Batch or sequential numbering and logos can also be re-produced. Of course, sizes vary depending on the available flat space on the item.